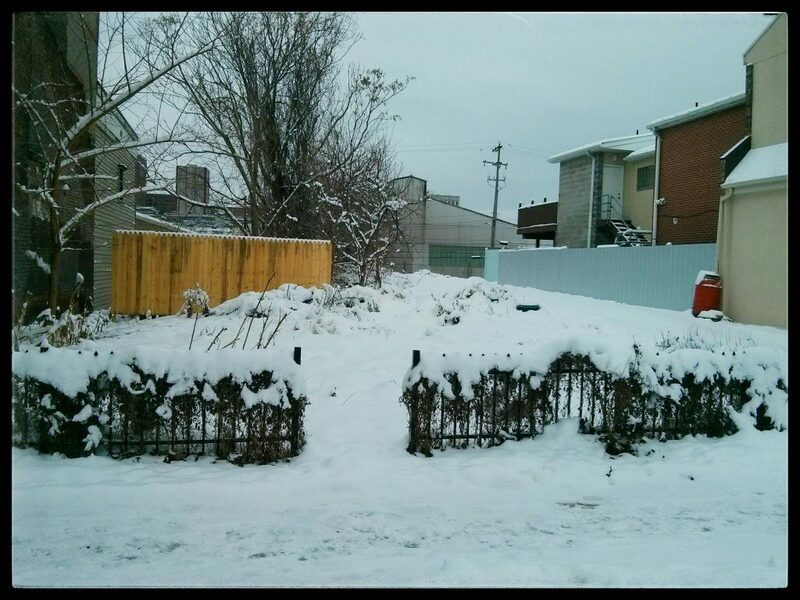 As much as we don’t want to acknowledge it, winter is coming. With it comes cold weather, ice, and snow that can damage outdoor equipment like rain barrels. At DECO, we recommend the following steps to keep your stormwater management infrastructure in good working order. Typical freeze dates range from October 15 through April 15. During these months, we use three best practices: Disconnect, Divert & Drain. Rain barrels usually collect water from a downspout. When water freezes in the winter, it can back up and damage your downspout. To prevent this, disconnect your barrel from the downspout. For barrels with diverters like the one pictured below, simply remove the attachment and close the hole with a downspout cover. Other diverters might have a switch for “winter” and “summer” settings. Ensure that no water is going into the barrel or cistern. After you’ve disconnected your rainwater container, make sure that any water from your downspout is directed to a safe location. If the water is flowing over a path or walkway, it can become a serious hazard when it freezes. Be sure to consider where the water will flow. Any water left in your barrel or cistern can freeze. 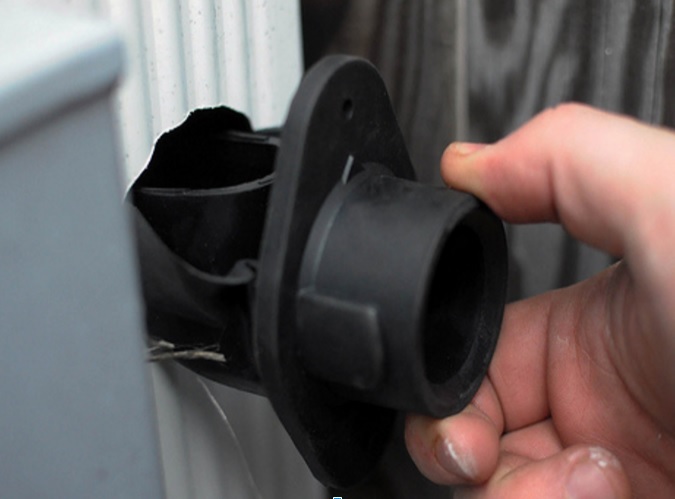 When water freezes, it expands, which can crack your rainwater container or cause other damage. It is a good idea to make sure any water collected outside is completely drained and covered so it won’t collect precipitation from rain or snow. Rain barrels are fairly light when they are empty and Pittsburgh winters can be very windy. It is a good idea to bring your barrel inside or weigh it down with bricks or something heavy. Warmer weather is only a few short months away! 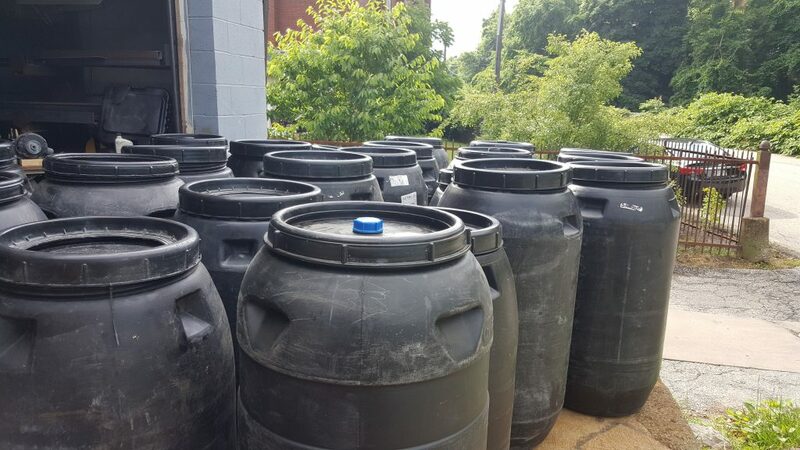 You will be able to reconnect your rain barrel or cistern by April 15th and continue collecting stormwater before it becomes a problem downstream (while cutting down on your water bill). Contact us if you need any assistance or would like to install a rain barrel or cistern at your home.